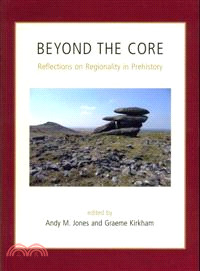 This volume explores the idea of regionally-based archaeologies across the British isles which are ii01: necessarily defined by modern political boundaries or through comparisons with regions such as Wessex and Orkney. In the past these intensively studied areas have often been assumed to represent the 'typical' - other areas with apparently different narratives have generally been labelled 'peripheral' and their diversity and distinctiveness overlooked. Assumptions about these core-based models have been challenged, especially by archaeologists in Ireland and Scotland and to some extent Wales. In England, despite more than two decades of intensive developer-funded archaeological investigation, new regional narratives are only just beginning to emerge. The 12 contributions to the collection identify distinctive elements of the prehistoric archaeology of a number of discrete areas across the British Isles, from Cornwall to Scotland and south-east England to Ireland. Some also consider how archaeologically coherent regions might be defined and the associated methodological problems in approaching such definitions. Others examine the ways in which 'universal' artefact forms and monument types have been interpreted in different areas, and how different patterns of contact, with the Continent or other regions, may have affected the construction of identities.